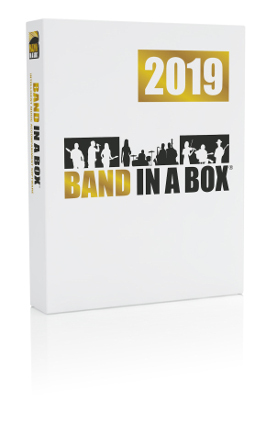 Band-in-a-Box® MIDI Songs & Lessons PAK: 25 MIDI add-ons for Band-in-a-Box, including the Essential Riffs and Phrases Series, Fakebooks, complete Master Solos Series, CopyMe, Duets, Novelty Piano Riffs, Instrumental Studies, Country Guitar Solos, and Folk Songs. Learn more about the Songs & Lessons PAK with this video. Ships preinstalled and ready to use on a high-speed USB 3.0 hard drive. Not available for download. Compare the Band-in-a-Box® 2018 Audiophile Edition with older Versions. "RealCombos" are a band of RealTracks in the same style. For example, the Jazz Swing 140 RealCombo includes 5 Real Instruments (Bass, Piano, Guitar, Sax, and Drums) that play at a medium swing 140 bpm tempo. RealCombos can be played at ANY tempo, but sound best near the listed tempo (which they were originally recorded at). What are RealTracks? RealTracks replace the MIDI track for that instrument, and can be controlled just like the MIDI instrument (volume changes, muting etc.). They follow the chord progression that you have entered, so you hear an authentic audio accompaniment or solo. RealTracks are not "samples"... They are full recordings, lasting from 1 to 8 bars at a time, playing in perfect sync with the other tracks. All MIDI Styles Sets, over 2,000 styles. The AudioPhile version includes over 2,000 MIDI styles in a wide variety of genres! * Note - some styles are listed under more than one genre.